NBA 2K18 has been out for the iPhone for months, but its $7.99 price tag put it out of reach for many mobile gamers. There's light at the end of the tunnel now, as a free-to-play version is in the works as a soft-launch in New Zealand. If you can't bear the wait, you can play the free NBA 2K Mobile right now in any country. 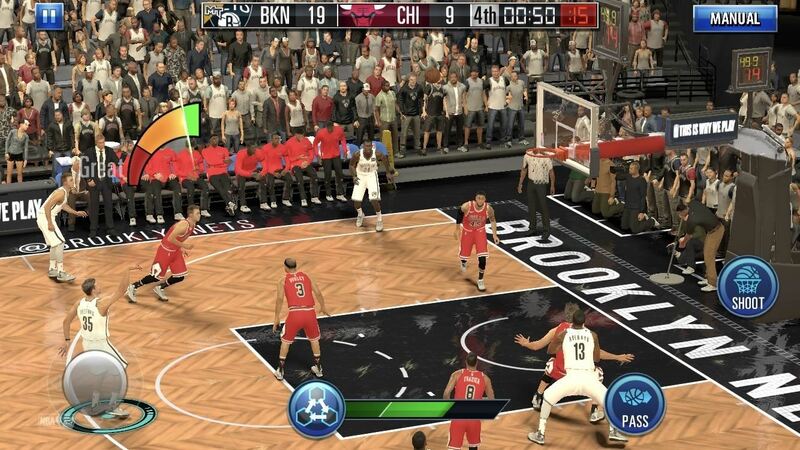 If you've played NBA 2K on your iPhone before, you'll feel right at home with NBA 2K Mobile. It features the same intuitive one-touch controls and overall gameplay that made 2K18 so much fun to play on the go. The game also comes with stunning graphics, along with more exclusive events that you can compete in for special prizes such as all-star players you can add to your roster. And as mentioned before, NBA 2K Mobile is totally free to play, so there's no need to shell out $7.99 just to try out the game. So if you'd like to play the game right now and take your dream team all the way to the top — even if you're playing as the New York Knicks — keep reading further to find out how. To play NBA 2K Mobile, your iPad, iPhone, or iPod touch will need to be running iOS 10.3 or higher. Apart from that, you'll also need to bypass the App Store's region restrictions in order to download the game in the US. To do so, simply create a new Apple ID using a realistic home address based in New Zealand to spoof the App Store. Once you've created an Apple ID based in New Zealand, sign in using this new spoof account on your iPhone. Doing so will automatically transfer you to the New Zealand App Store, where the game is officially available. If you'd like a more detailed walkthrough on this topic, simply tap on the link below to learn more. Now that you're inside the New Zealand App Store, you're free to install NBA 2K Mobile as you normally would. So head to the App Store and search for NBA 2K and download it, or tap the following link from your iOS device. It's worth noting that NBA 2K Mobile is technically still in development, so don't be surprised if you encounter a bug or two while playing. We played the game on an iPhone 8, iPad Pro, and iPhone SE, all running iOS 11.2.1, and found that it ran as it should with no hiccups. What do you think about this game? Share your thoughts in the comment section below.